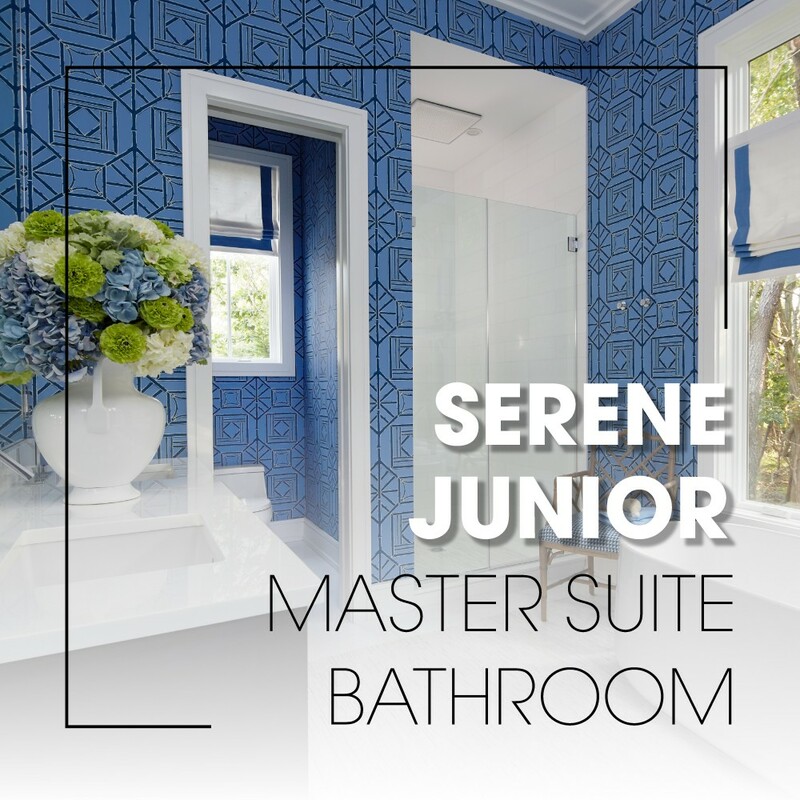 Shay Geyer of IBB Design puts this junior master suite on the cutting edge of design with innovative amenities and coordinated decor. 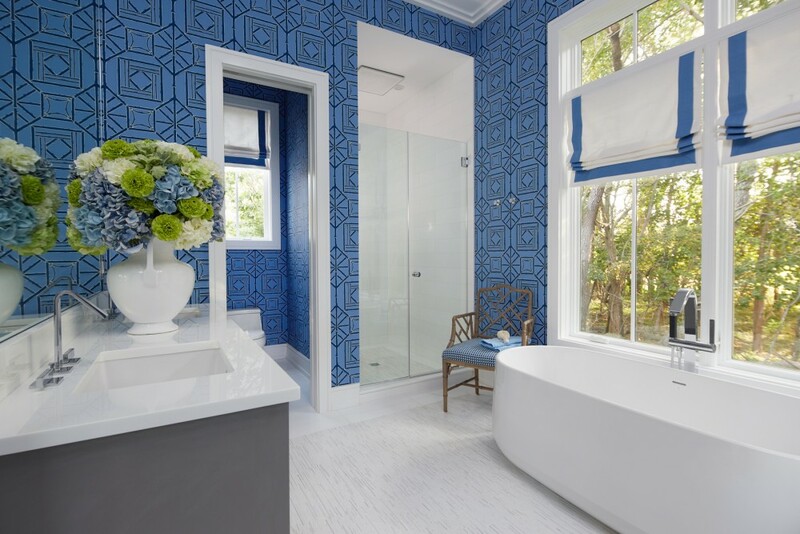 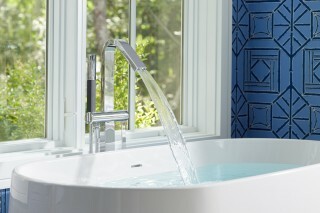 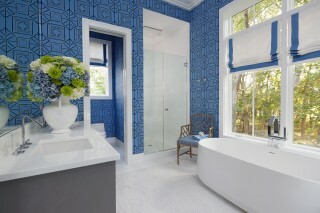 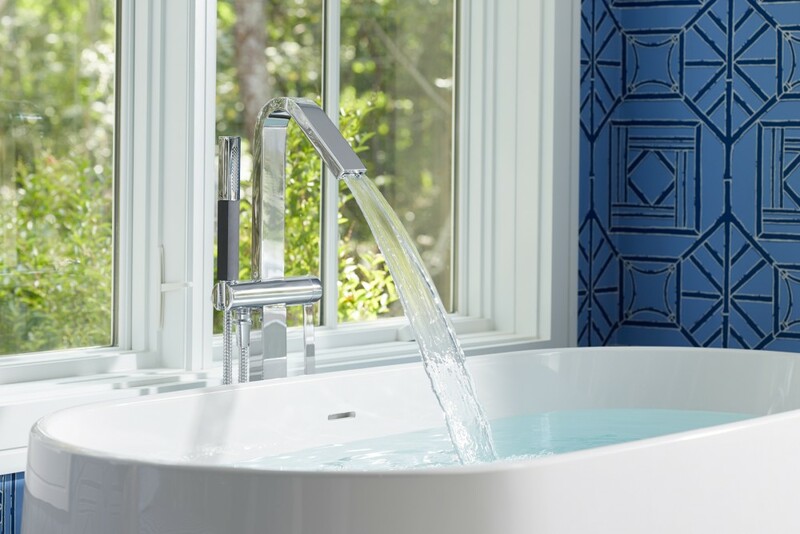 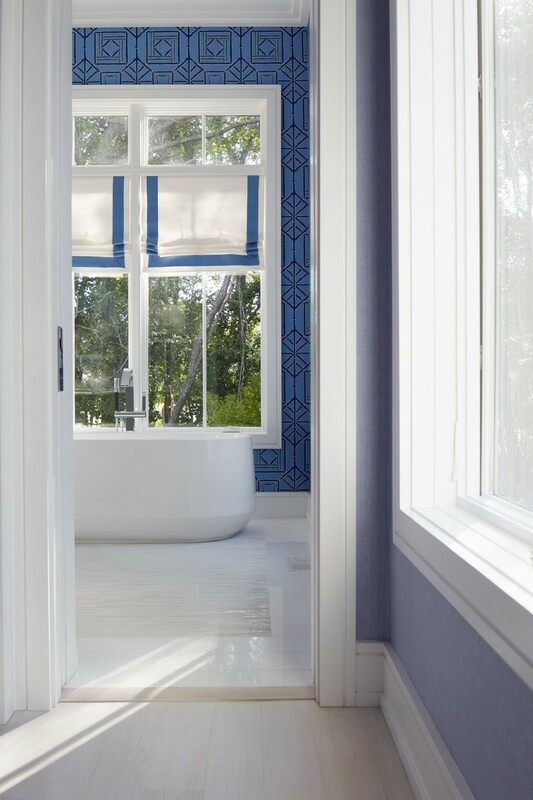 The KOHLER Ceric® freestanding bath provides luxurious comfort beneath large open windows and the blue, geometric wallpaper creates a serene yet energetic tone. 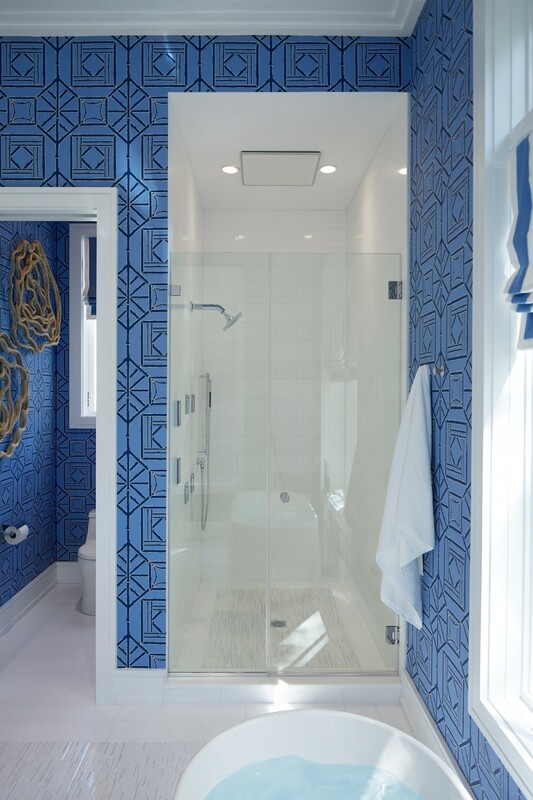 A real rain overhead panel adds a refreshing component to the showering experience. 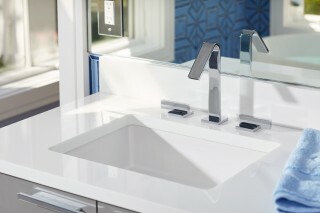 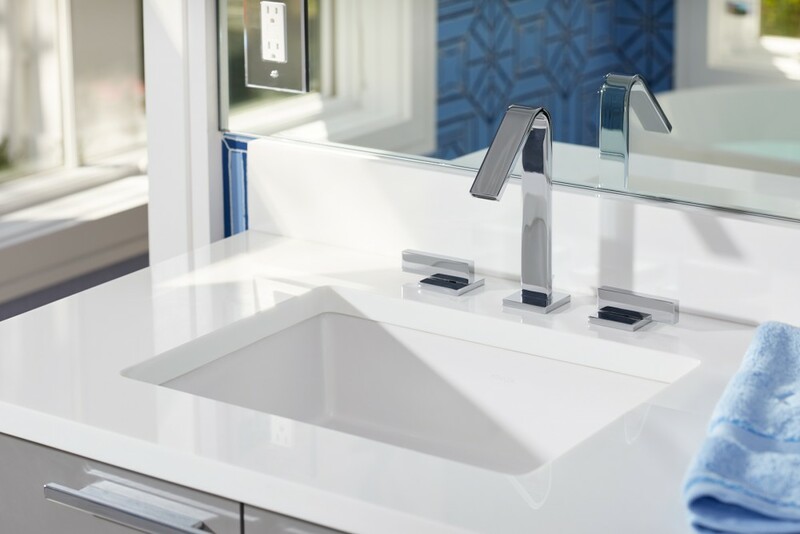 In her design, Geyer ensures that every element of routine has been built to be more satisfying and seamless than ever before. 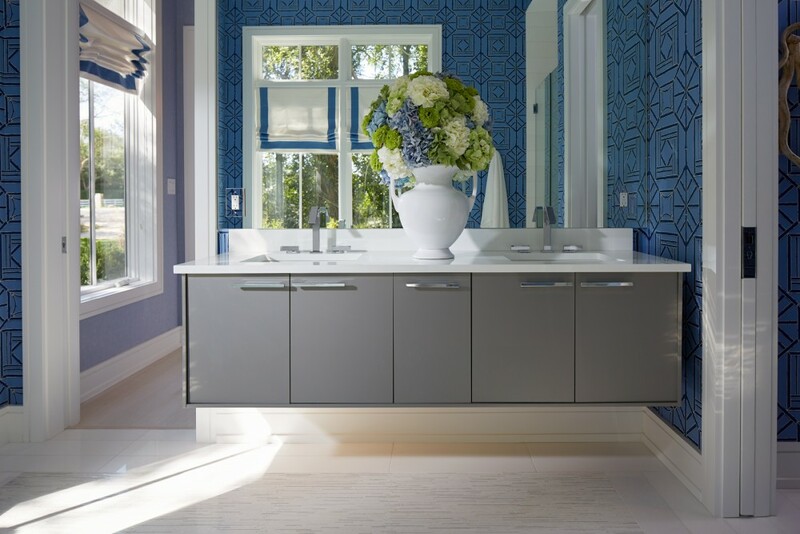 Discover more of the 2018 Hampton Designer Show House.